2/11/18 - Version 1.03: Now the FREE/Html5 version is available to play online! 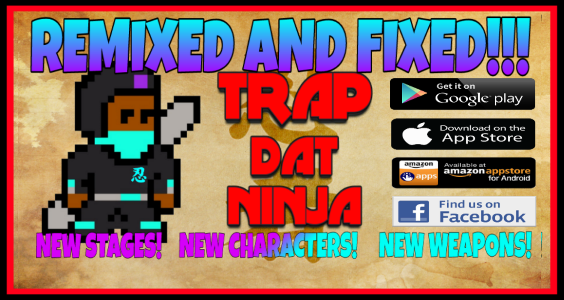 Try out Trap Dat Ninja: REMIX, and if you like it, buy and download it! Also, there are a few bugs with the in-game Pointer/Cursor not syncing up in some areas in the game; it will be fixed soon! Trap Dat Ninja:REMIX is Officially Released!! !